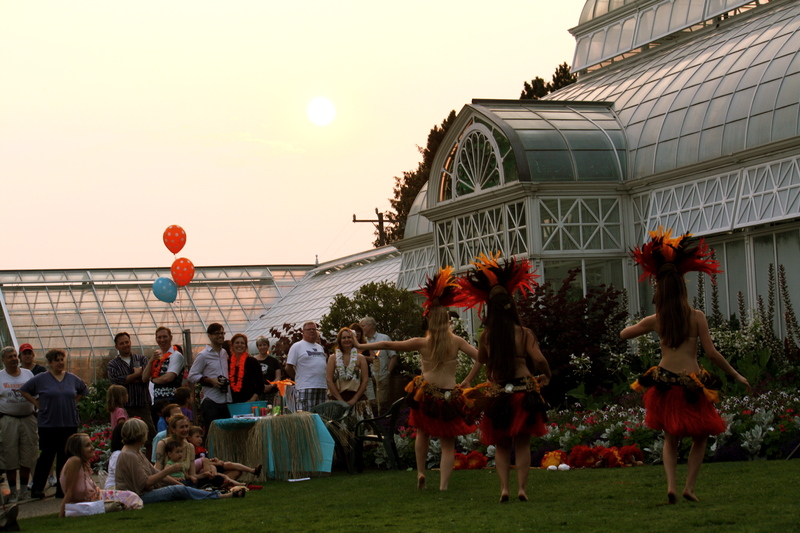 The Friends of the Volunteer Park Conservatory held a community luau Thursday night to celebrate the nearly 100-year-old public greenhouse and spread the word that concerns remain about the future of the facility as Seattle Parks faces continued budget woes. KIRO 7 Eyewitness News has learned that a Seattle icon could be shut down. Budget cuts could force the closure of the popular conservatory at Volunteer Park. More on 11 @ 11. It hasn’t been all bad news for the Conservatory, however. The facility apparently made it through the first wave of announced Parks cuts announced in June no more deeply damaged than other city services. And last month, CHS reported that the Conservatory was confirmed by the City Council as an official City of Seattle historical landmark. We’ll be interested to find out if KIRO has learned anything new from Parks about the financial threat to the Conservatory. 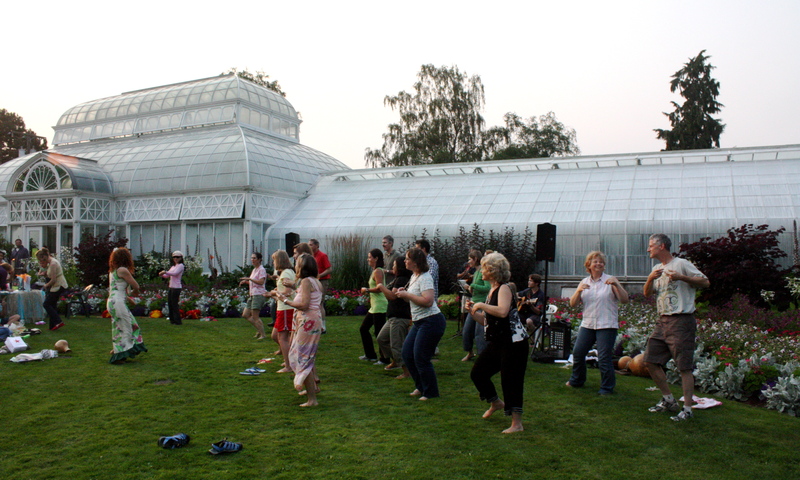 In the meanwhile, on Volunteer Park’s lush lawn Thursday night, it was all hips, coconut shells and community hula lessons underneath a red rubber ball of a sunset that looked as tropical as some of the orchids on display inside the Conservatory. I was going to go to this, but I forgot. Looked like fun. I wish I played the ukulele. This was a fabulous event in a gorgeous facility enjoyed by over 200 people. We need to cherish this historic landmark and pass it on to future generations.